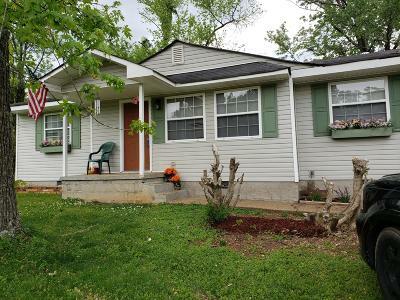 Hixson rancher on double lot!!! Well maintained. Beautiful hardwood floors. Open kitchen, dining room and living room areas. Den/family room (currently used as a bedroom). Maintenance free vinyl siding and newer windows. Just minutes to Northgate Mall, hospitals, doctors offices, schools, churches and grocery stores! This home has been leased and would also make great investment property for your investors. Seller provided these attached photos taken when the house was vacant. Tenant occupied.